The Sower: Vol. 25, No. 2, page 3. This issue came out October 22, 1987. 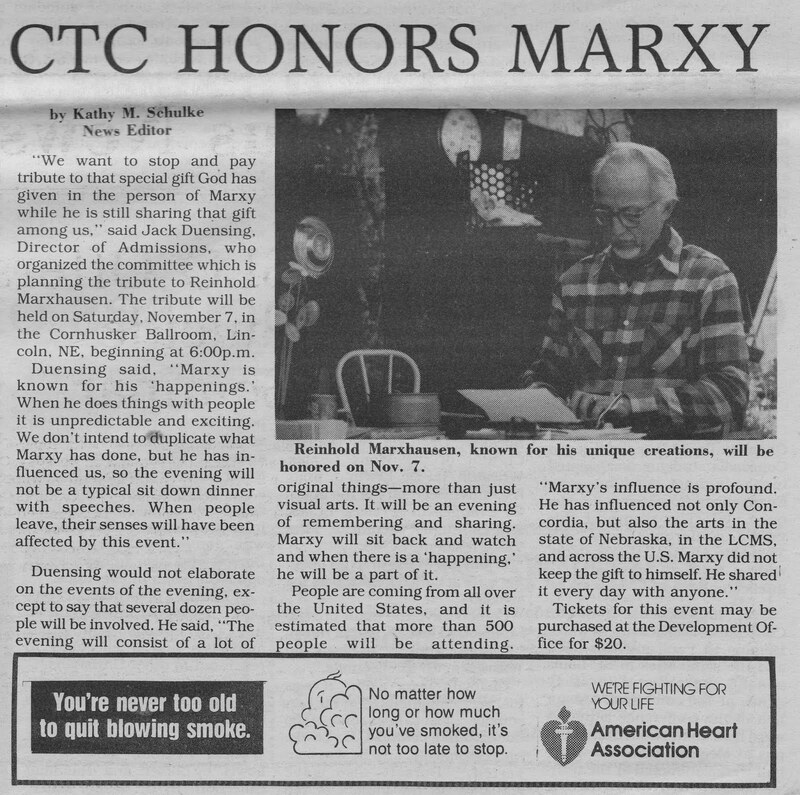 Concordia, which was then called CTC, honored Marxhausen at an event November 7.